The Open Systems Interconnection (OSI) model is a reference tool for understanding data communications between any two networked systems. It divides the communications processes into seven layers. Each layer both performs specific functions to support the layers above it and offers services to the layers below it. The three lowest layers focus on passing traffic through the network to an end system. The top four layers come into play in the end system to complete the process. 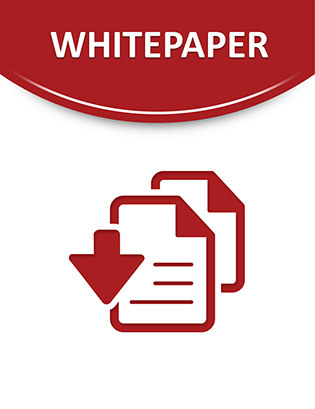 This white paper will provide you with an understanding of each of the seven layers, including their functions and their relationships to each other. This will provide you with an overview of the network process, which can then act as a framework for understanding the details of computer networking. Since the discussion of networking often includes talk of "extra layers", this paper will address these unofficial layers as well. Finally, this paper will draw comparisons between the theoretical OSI model and the functional TCP/IP model. Although TCP/IP has been used for network communications before the adoption of the OSI model, it supports the same functions and features in a differently layered arrangement. Paul Simoneau Founder and President, NeuroLink, Ltd.	Paul Simoneau has well over 37 years of experience in working with multiple aspects of computers and data communications. He is the founder and president of NeuroLink, Ltd., an international coaching and education company specializing in professional development. NeuroLink’s client list includes Cisco, AT&T, Lucent, Citibank, Quest Communications, Hewlett-Packard, Sprint, Verizon, all branches of the US Armed Forces, and many others. He is also a senior instructor and course director with Global Knowledge, the blended solutions training company. In that role, he has authored and managed two highly successful courses—Hands-on Internetworking with TCP/IP and Network Management Essentials. Both courses are offered world-wide in Classroom, Virtual Classroom, and Self-directed formats. In support of these and other courses, he actively participates in Global Knowledge’s e-mentoring programs.